Answers for how to troubleshoot audio and/or video issues that occur when using a browser are found below. Please review this information, and if you need additional help we would be happy to assist you. Please contact us at effect@realappeal.com or at 1-844-934-REAL (7325). We're available Monday through Friday from 4 am to 8 pm Pacific Time. Try refreshing the page by pressing F5 or clicking the refresh button on your browser then re-join the session. If that doesn't work, log out and log back into the website, and then re-join the session. I'm unable to play the video. We're sorry you're having trouble! 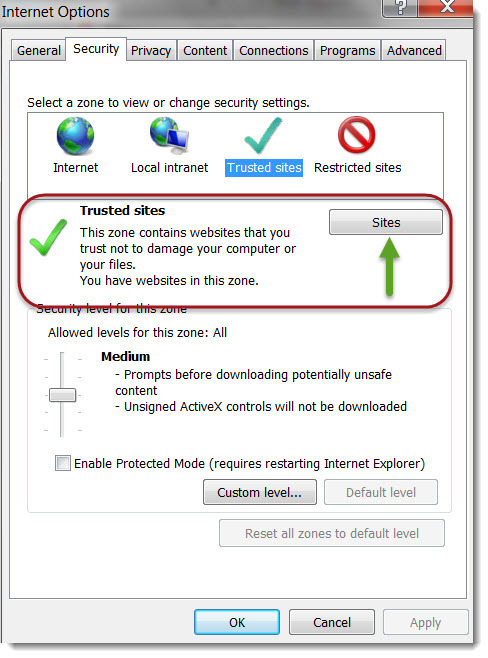 First, check that you are using one of our supported web browsers. The System Requirements article outlines which browsers we support, and if you aren't sure what browser you're using, check out the Identify Your Browser article. Click on the 3 dots to open the menu, click Settings, and then select About. 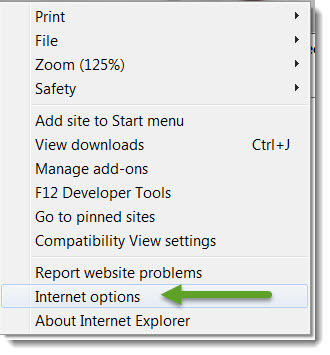 Click on the settings icon to open the menu, then click About Internet Explorer. Click on the 3 lines to open the menu, click the question mark icon, and then select About Firefox. Click on Safari to open the menu, and then select about Safari. If an updated version is available, you typically will be directed to install the update. If you are still not able to play the video, please give us a call. We can be reached at 1-844-934-REAL (7325) Monday through Friday between 4 am and 8 pm Pacific Time. The volume is very low and I’m unable to hear the video. Verify that sound is not being used by another application. Ensure that your headset or earbuds are plugged in all of the way. Check both the computer volume setting and also the speakers volume setting to make sure that the volume is turned up. If you continue to experience audio issues, please give us a call. We can be reached at 1-844-934-REAL (7325) Monday through Friday between 4 am and 8 pm Pacific Time. I'm unable to see my self-view on the video. Check your video output configuration to be sure the camera device is enabled. Click on the gear box icon in the top right corner of your browser, and then in the "Settings" box that opens, click the blue Check Connectivity button to confirm that all of data streams are working correctly. 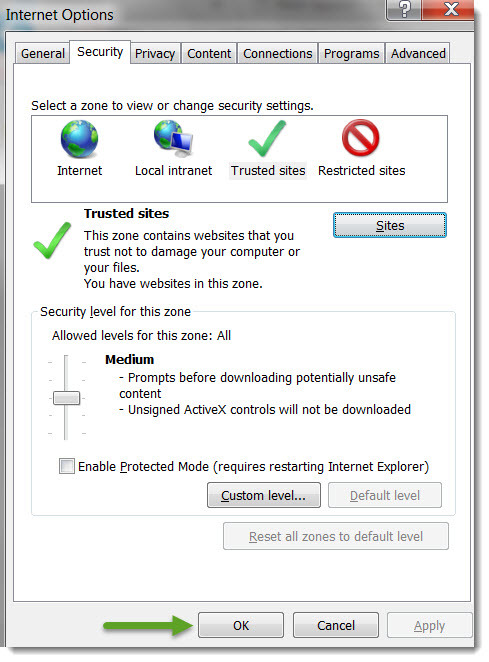 If you are using Internet Explorer or Safari, check to see if Real Appeal's Zillion Live plugin is installed. If not, refresh the screen and install the plugin as prompted by the browser. If it is, you will need to check the permissions granted to running plugins in your browser. 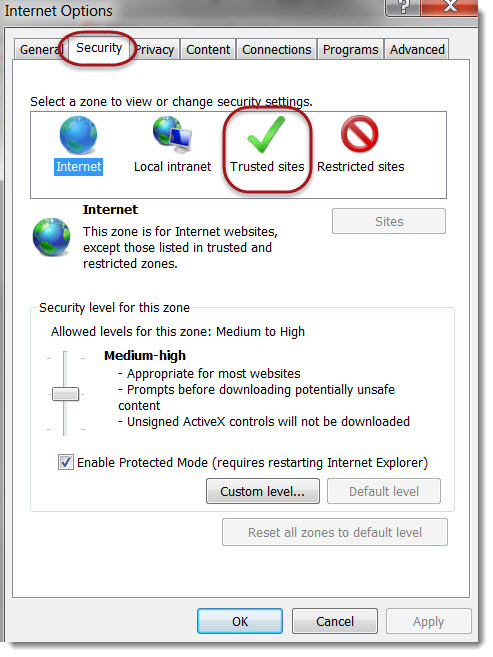 Please see the Connect with Internet Explorer and Connect with Safari articles for more information. If your computer does not have a camera and you would like to have your self-view displayed during the live sessions, you will need to access the application from a computer that has a built-in camera or webcam attached. Please know that it is not necessary to have a camera to participate in the sessions. If you're still having difficulty, please call us and we'll be happy to help. We can be reached at 1-844-934-REAL (7325) and our hours of operation are Monday through Friday between 4 am and 8 pm Pacific Time. My coach cannot hear me when I speak. 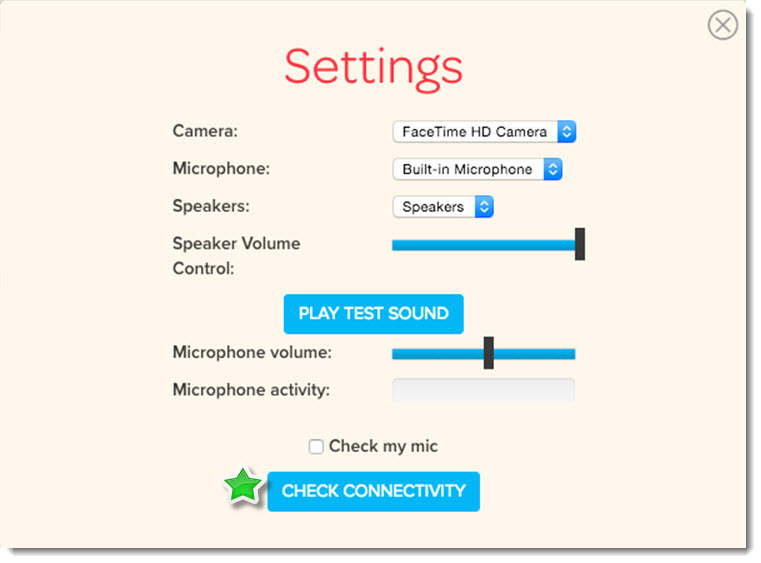 Check to see if your microphone is properly plugged in and that it is toggled to "ON" on your screen. Make sure your microphone volume is turned up. If you have multiple microphones, your system test should indicate both options. 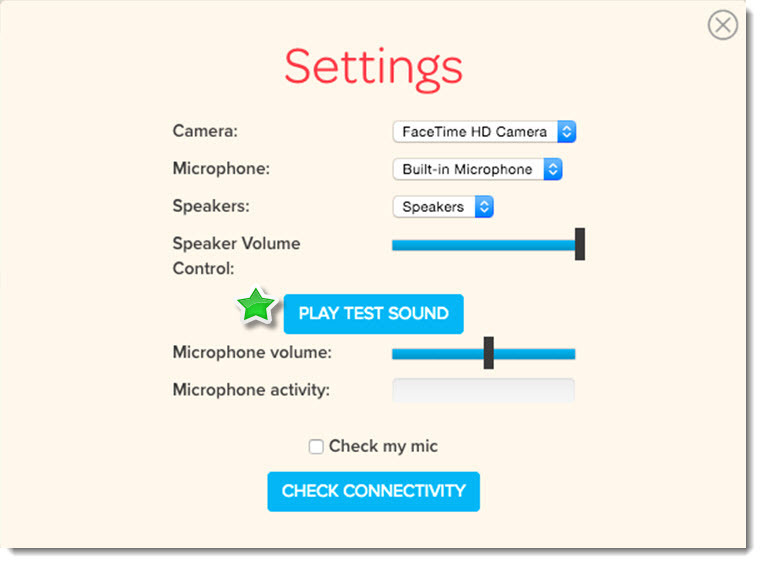 Check that the correct microphone is selected by clicking the gear in the top right corner. I'm unable to see the screen shared by my Coach. We're sorry you're having problems seeing the screen. The issue could be due to a poor Internet connection. To check this, click the gear in the top right corner of your screen to access the Settings and then click Check Connectivity. Refresh the browser page by pressing F5 or clicking the refresh button on your browser. Close and re-open your browser again. Login to the Real Appeal Effect website and try joining again. 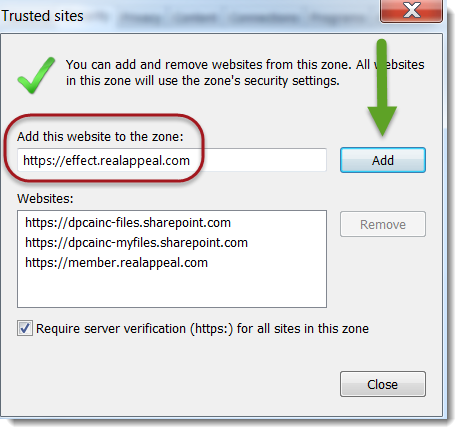 If you are using Internet Explorer 11, you may need to save effect.realappeal.com as a trusted site so that you can view your coach's live video and screen. If you are still having difficulty, please contact us at 1-844-934-REAL (7325) for assistance. Our hours of operation are Monday through Friday between 4 am and 8 pm Pacific Time.